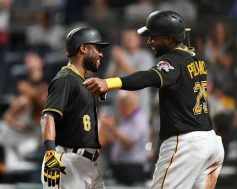 The Pittsburgh Pirates are playing a good brand of baseball on this six game homestand and that would continue today against the Miami Marlins. Pittsburgh would use solid pitching and timely hitting to earn a 5-1 victory today at a damp PNC Park. Ivan Nova was back on the mound today after missing his last start. It looked like the extra rest did Nova some good during this outing. He would finish the day pitching six innings allowing three hits to go with nine strikeouts and one walk. Dovydas Neverauskas pitched a scoreless seventh with two strikeouts, before Nick Kingham would work the final two innings. Kingham allowed one run on two hits with two strikeouts and two walks. The Pittsburgh Pirates entered tonight with a chance to do something they haven’t accomplished since mid-July, sweep a series. That series happened to be against the Cincinnati Reds as well. Pittsburgh would complete the sweep tonight with a hard fought 3-2 victory. It wasn’t the prettiest win, but the Jolly Roger was raised in the end. Cincinnati would actually score the first and final runs of this game, with the Pirates plating three runs in between. Jose Peraza hit a solo home run in the first to give the Reds a 1-0 lead. That would be the only run that Jameson Taillon would give up during his five innings on the mound. He left allowing eight hits to go with six strikeouts. 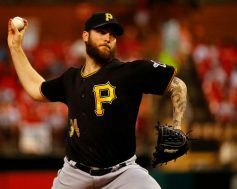 Regardless of either team’s record, the Pittsburgh Pirates have struggled against the Cincinnati Reds in recent years. But in 2018, the Bucs have played well against their N.L. Central foes…and that trend continued on Tuesday night. 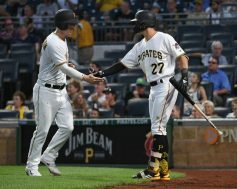 Pittsburgh provided starter Joe Musgrove with plenty of run support, as they earned comfortable 7-3 victory at PNC Park. Musgrove pitched well for the Pirates, giving up two runs on five hits with eighth strikeouts in 6.1 innings of work. Richard Rodriguez, Kyle Crick, and Felipe Vazquez pitched the final 2.2 innings in relief to close things out. The unofficial end of summer is Labor Day and it also means that baseball season is coming to a close. The Pittsburgh Pirates are beginning to evaluate talent for 2019 by expanding the roster and playing guys who have spent most of the season on the bench or in the minors. Today they opened up a three-game series against the Cincinnati Reds at PNC Park with a 5-1 victory. 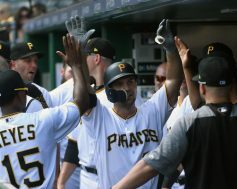 The Pittsburgh Pirates looked to wrap up a very difficult road trip with a victory today against the Atlanta Braves. After winning the first game of the series on Friday, the Bucs fell last night after blowing a lead late in the game. 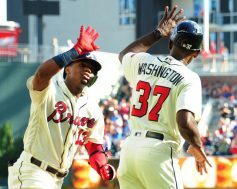 Today, unfortunately, the bullpen let the team down once again, as the Braves scored four runs in the eighth and went on to win 5-1 in the rubber match. Nick Kingham started today and he pitched well for Pittsburgh. He lasted five innings, and after giving up a leadoff homerun to begin the game, he held the Braves off the scoreboard for the rest of his outing. He ended up giving up one run on four hits with four strikeouts. Steven Brault took the loss today, giving up four runs (one earned) on four hits in 2.1 innings. Tonight, marked the beginning of the final month to the 2018 season. This also meant rosters were expanded and calls to the bullpen would be at an all time high. For the Pittsburgh Pirates it meant an opportunity for minor league players to gain Major League experience and for the organization to see what they have in the system. Pittsburgh led for much of the game, but the Atlanta Braves rallied late to earn a 5-3 victory. Chris Archer had what could have been his best game in a Pirates uniform tonight and it went for naught. Archer worked six innings and allowed one run on two hits with five strikeouts and just one walk. He was replaced in the seventh by Richard Rodriguez who would strike out all three batters that he faced. 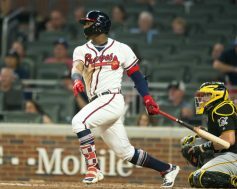 After a disappointing series in St. Louis, the Pittsburgh Pirates continued their road trip Friday night with the first of three games against the Atlanta Braves. 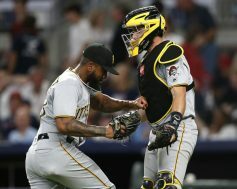 Jameson Taillon took the hill for the Bucs and delivered a strong performance, while the struggling offense did just enough to come away with a 3-2 victory. Taillon continued his recent trend of strong starts, giving up two runs on five hits in seven innings. 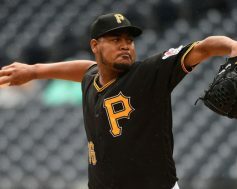 Keone Kela pitched a scoreless eighth inning, and Felipe Vazquez, despite giving up a pair of hits, closed things down in the ninth to earn his 29th save of the season. The Pirates took the lead in the top of the second on a RBI single by Elias Diaz. A single by David Freese scored Starling Marte in the top of the sixth to make it a 2-0 lead. With the Pittsburgh Pirates on their way to missing the postseason for a third straight year, it can be difficult for even the biggest fans to watch games this late into the season. For those of you who tuned in tonight, you saw some great pitching by Pittsburgh for nine innings as they took game two of this three game series from the St. Louis Cardinals. Trevor Williams earned the start tonight and worked six solid innings. During that time, he struck out eight batters, walked three and allowed three hits. Williams picked up his 11th win tonight and saw his ERA drop to 3.30. He could be considered the Pirates best starter for this season. There was a lot of hype surrounding Chris Archer when he was traded to the Pittsburgh Pirates from the Tampa Bay Rays. The fan base was excited and even gave him a standing ovation the night he arrived at PNC Park. Even with that excitement, he has struggled mightily since he first donned a Pittsburgh uniform. That trend would continue today in a 7-4 loss to the Milwaukee Brewers. 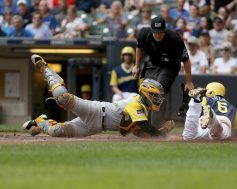 It’s been a rough stretch of baseball for the Pittsburgh Pirates lately, highlighted by a heartbreaking loss last night in the first game of their weekend series against the Milwaukee Brewers at Miller Park. The Bucs were in desperate need of a victory as they took the field tonight, looking to snap a four game losing streak. 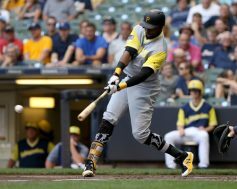 Fortunately for Pittsburgh, they got a strong pitching performance and they finally came through with some offense, as they went beat the Brewers 9-1. Jameson Taillon started for the Pirates, giving up one run on five hits with eight strikeouts in six innings. He has been solid as of late, further lowering his ERA to 3.49 on the season.